Do you battle with your self-image? So, what is ‘the difference that makes the difference? When you become a client of Enterprise Fitness, you will be taught how to effectively train and nourish your body. But hey, that’s expected of any good personal trainer right? Calina O is a Mindset Consultant, successful business owner, speaker and practitioner to high-powered individuals all over the world. 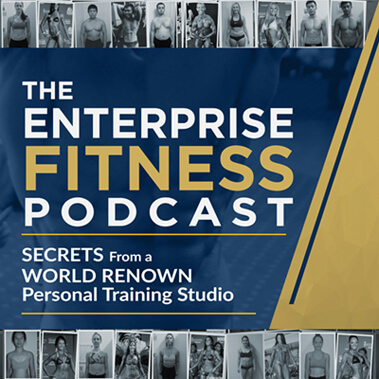 Practiced in the Demaritini method, Calina O shows her clients how to transform their greatest weakness into their greatest strength. Click here to listen in, please share and leave a comment to let us know what you think.